We converted this Outdoors RV Mfg. Wind River 280RKS into an off-grid power center. We installed 6x AM Solar 160w panels for a total of 960w with 2x networked Blue Sky SB3024iL MPPT Charge Controllers & IPN Remote (with room to expand in the future if desired). 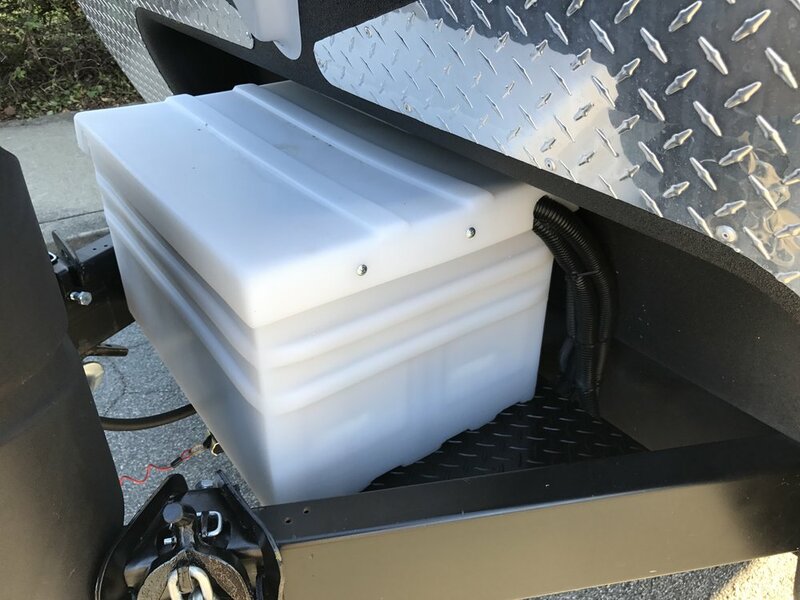 We replaced the 2x OE wet cell batteries on the tongue with 4x Lifeline GPL-4CT AGM 6-volt 220Ah batteries enclosed in a specially designed battery box and redesigned the battery support structure with a custom fabricated and painted diamond plate mounting platform. 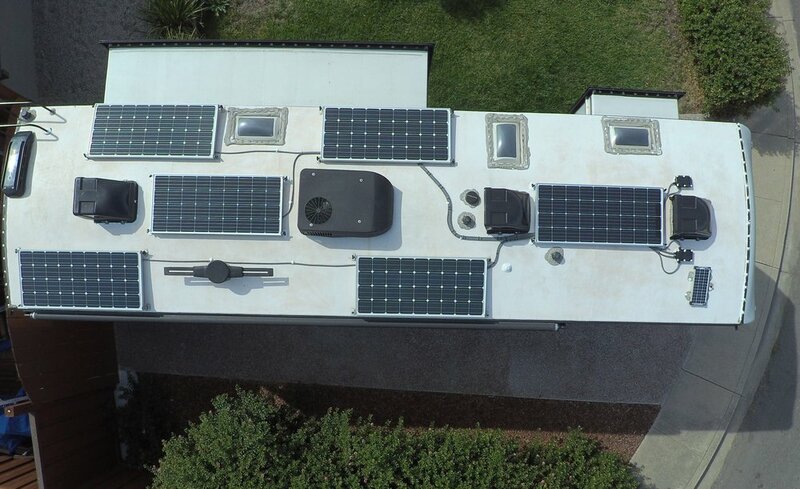 We added a Progressive Industries EMS and Magnum Energy MSH3012 Hybrid Pure Sine 3000W/3900W surge inverter w/ ME-RC50 remote to run conditioned residential power throughout the coach with the ability to run the Air Conditioner for short durations. We added a number of USB and 12V power ports throughout the coach along with added exterior lighting, added a TV to the bedroom, added WiFi capability and Roku devices to each of the TV's, weather station, satellite radio w/ roof mounted marine antenna, exterior roof vent covers, replaced the OE vent over the galley with a remote controlled Fantastic Fan, added a wireless backup camera for safety when backing the unit and finished off the unit by installing a 6-stage reverse osmosis water filtration system with permeate pump and boost pump for clean and pure water at the tap. Whether you're a weekend warrior or full-time RV enthusiast, this setup will satisfy almost everyone's needs when out on the road.